Poll: Are you worried about climate change? New research predicts a dramatic rise in the death toll from weather-related disasters in Europe in the coming decades. TWO IN THREE people living in Europe may be affected by weather-related disasters by the end of the century, according to a new study. The research, published in the Lancet Planetary Health journal, estimates there will be a dramatic rise in the death toll from disasters such as heat waves and flooding in Europe – from 3,000 deaths each year between 1981-2010 to 152,000 a year between 2071-2100. 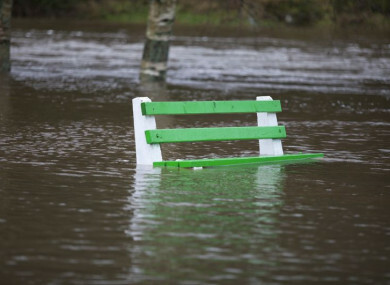 The study also looks at flood-prone areas and says there will be a 192% increase in the number of people living in coastal flood-prone areas in Ireland in the coming decades. The researchers have urged the countries who have signed up to the Paris Agreement, an international accord hoping to combat the effects of climate change, to fulfil their obligations. The United States, the world’s second biggest producer of greenhouse gases after China, plans to withdraw from the accord. We want to know: Are you worried about climate change? Email “Poll: Are you worried about climate change?”. Feedback on “Poll: Are you worried about climate change?”.